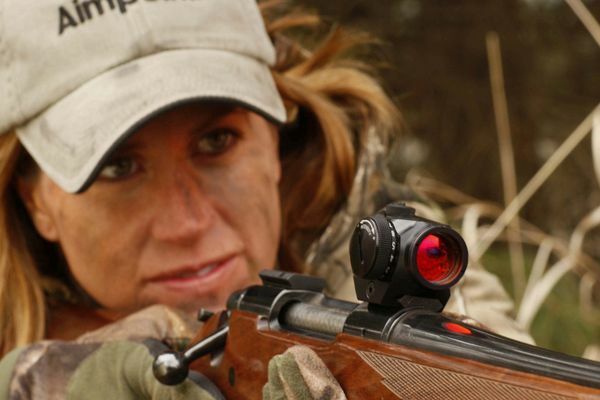 The Aimpoint Micro H-1 4 MoA red dot sight was designed specifically for hunting and is tiny. The entire H-1 red dot scope weights just four onces – one once more than a set of flip up covers for an Eotech. 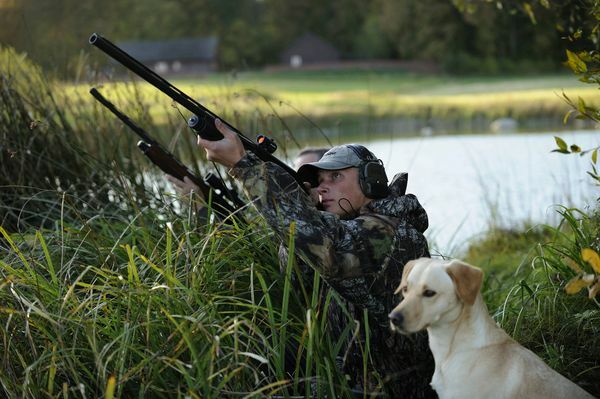 Designed to be immensely tough, the H-1 Micro can be fitted to any firearm, from an auto pistol or revolver up to a 10 gage shotgun or .50BMG and has won a niche for itself in bow hunting. 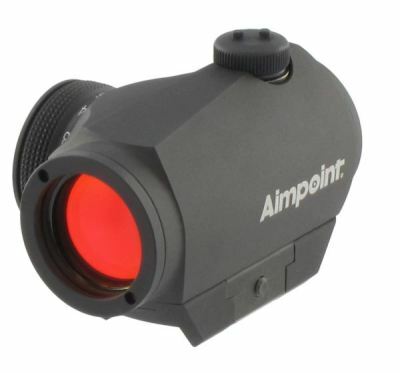 The Aimpoint Micro H-1 can also be piggybacked on top of higher power optics to get them on target or to provide a back-up in the event of failure of the main optic or should game appear at very close range. 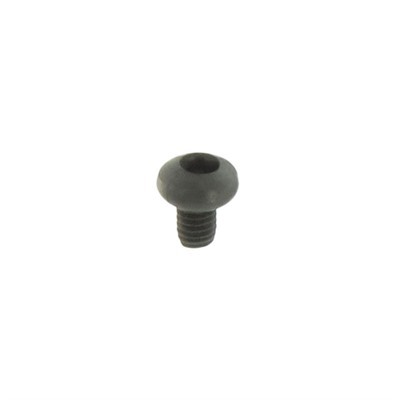 The 4 MoA dot makes for fast shooting on running and flying targets. 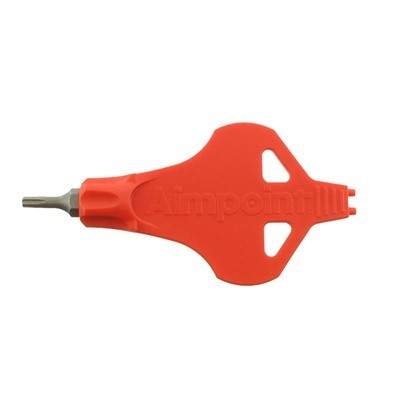 Many mounting options are available for these red dot scopes from aftermarket suppliers or from Aimpoint themselves. A lightweight rifle with an H-1 Micro mounted on it is still a lightweight rifle! 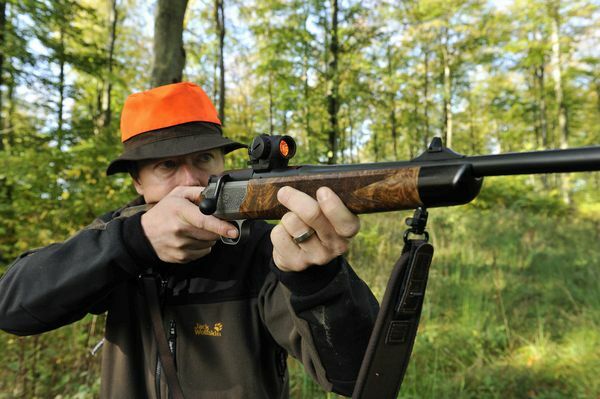 A hunting revolver with an H-1 Micro installed is just as easy to carry and is much faster to aim. 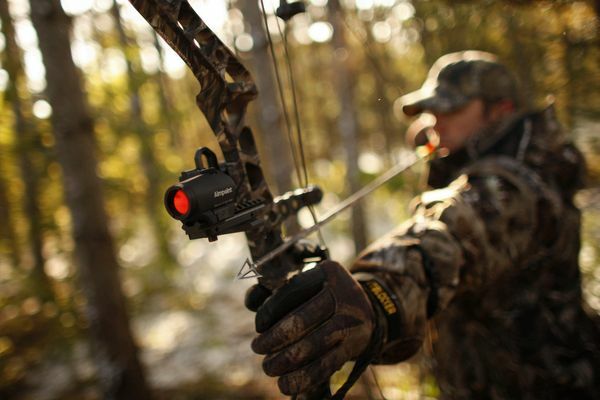 On a bow, the parallax free H-1 Micro replaces the a peepsight, enabling you to shoot accurately in lower light. Check the price of the Aimpoint Micro H-1 at Brownells, a name you can trust. Purchase an H-1 Micro from Brownells and I will be paid an affiliate commission. This will help keep this site up and will not affect your purchase price.